Arizona is a state known for its beautiful desert landscape. So it’s only natural that it’s also a hot spot for gardening. Garden centers across the state are filled with a diverse selection of local and exotic plants. These shops house an array of plants from desert cacti to large evergreens. Though there are many shops, a few stand out for their impressive mix of affordability, catalogues, and service. Here are the 10 best garden centers and nurseries to explore in Arizona. Moon Valley Nurseries originated with one small location in downtown Phoenix. It’s since grown to a huge retail and wholesale nursery with 13 locations around the state. Moon Valley Nurseries is also recognized as the largest box tree grower in America. They have over 1,500 varieties of trees and offer free professional planting on all box-sized trees. They also have an impressive selection of hedges, shrubs, vines, succulents, and cacti agave at their many local nurseries. Whitfill Nursery is a family owned and operated nursery that’s been serving greater Phoenix since 1946. They grow trees and plants for both wholesale and retail and service practically the entire Valley of the Sun. Their 300-acre plant nursery produces an impressive inventory of trees and shrubs. They also have an on-site greenhouse that helps to produce exotic and tropical plants. Whitfill has locations in central Phoenix, North Phoenix, and Gilbert. Green Things is a major retail and wholesale nursery and garden center that serves the greater Tucson area. Family owned and operated since 1970, this garden shop produces a variety of plants, pottery, outdoor living products, and gardening supplies. Their Catalina Foothills location includes four acres of plants and 33 greenhouses. In addition, Green Things annually produces over 25,000 poinsettias that are distributed throughout the rest of Arizona. EcoGro isn’t a typical garden shop. This store is a resource for sustainable growing methods. EcoGro provides equipment and supplies for customers to construct their own Aquaponics systems. Aquaponics is a sustainable method of food production that combines fish and edible plants in a closed recirculating system. EcoGro also sells array of exotic and rare plants, succulents, and cacti at an affordable price. The Bosque is a small, locally-owned garden shop located in Downtown Phoenix. What it lacks in size it makes up for in charm. This shop has a large inventory of indoor and outdoor plants in addition to pottery and local goods. Their plant selection includes Arizona staples like cacti and succulents. The Bosque checks all the boxes of a great garden shop. They have a knowledgeable staff and affordable prices to go with their impressive inventory. Dig It Urban Gardens and Nursery helps create personal gardens in more ways than one. For one, they have a unique selection of shrubs, cacti, and succulents at their downtown Phoenix location. 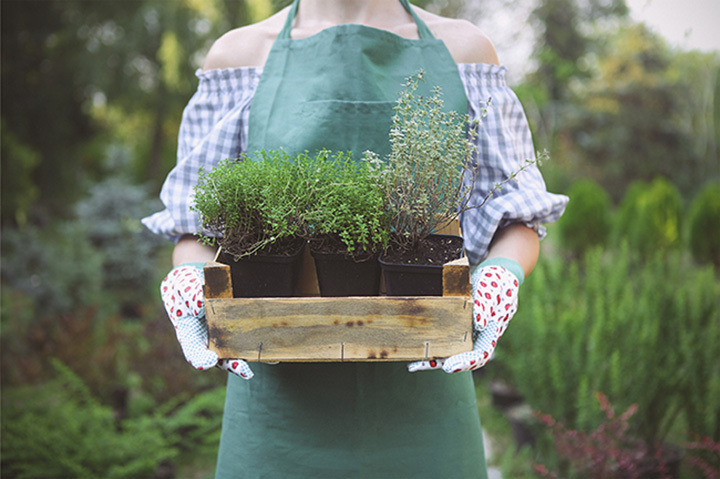 They also hold classes designed to teach customers how to be successful gardeners. Their Succulent Success classes are a series of lectures on proper plant placement and care. This garden shop is an urban oasis filled with plant and garden essentials and an experienced, helpful staff. Watters Garden Center opened in the 1950s as Prescott’s first garden center. In 1983, they moved to their current location and they continue to be destination garden center. This garden shop focuses on plants that are appropriate for the look and environment of the Arizona mountains. They also have a large selection of garden accessories, herbs and seeds. Watters also holds weekend classes to help with planting success in the high mountain climate. A & P Nursery is a family owned and operated plant nursery serving the East Valley since 1970. They have grown to encompass four nurseries including locations in Mesa, Queen Creek and Gilbert. Their plants are grown on their 20-acre farm in Queen Creek, many of which are sold at their East Mesa location. A & P specializes in shrubs, cactus and herbs. They also have a huge selection of trees ranging from local desert trees to evergreens. Bach’s Greenhouse Cactus Nursery has the largest selection of Native Cacti in Pima County. This family-owned company grows over 11 acres of cacti and other desert plants at their nursery. They also have beautiful greenhouses and offer both wholesale and retail sales. Fans of desert landscape can buy all types of cacti from saguaros to Bach’s own hybrid creations. Treeland Nurseries has grown quite a bit since opening in 1969. This family owned nursery now includes over 100 acres of growing facilities and three Valley locations. It’s also one of the largest wholesale and retail nurseries in the state. Their wide-ranging catalogue includes over 2,900 items of plants, trees, and accessories.